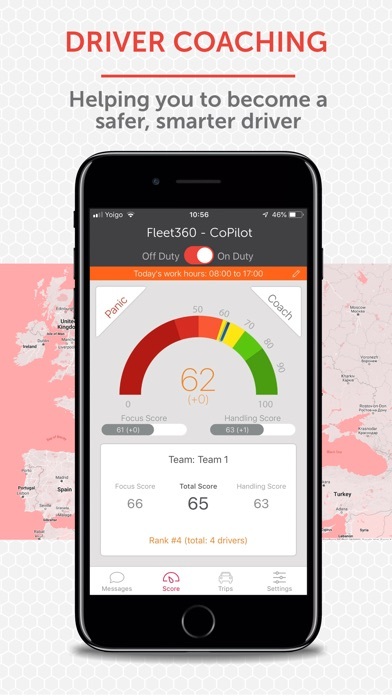 CoPilot by Fleet360 is a hardware free solution that helps you to become a safer and smarter driver. Once activated, CoPilot starts to monitor your vehicle activity using built in sensors of your phone. 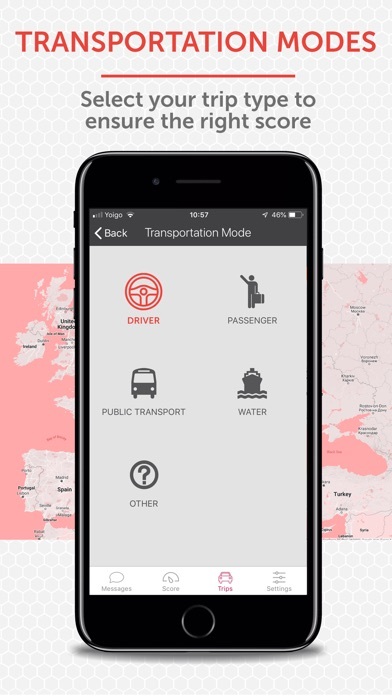 The app shows trip summaries, details on trip events and gives you useful feedback to help you become a smarter driver. These sensors detect when your vehicle starts and stops and tipical events such as hard bracking or harsh acceleration. Your driving style is then measured and you are able to see how you driving style changes over time. CoPilot runs in the background and uses GPS and low-power sensing methods to reduce battery consumption. A valid registration token is needed to use this app which is typically provided by your fleet manager. CoPilot by Fleet360 Fleet360 is the result of over 30 years of experience in the fleet industry. Fleet360 provides services and tools to the global fleet industry offering you and your company transparency and insights resulting in an efficient fleet strategy. DriverCare is just one aspect of the fleet toolkit to help influence driver behaviour. CoPilot will help monitor your fleet activity to identify trends of driver behaviour, accident rates and fuel usage. This information is then used to create a safety culture that in turn reduces fleet costs and general human wellbeing.